Thanks for participating in #Readukkah! I am happy to enter your giveaway. My favorite thing about Hanukkah is watching the candles burn because it’s so contemplative and pretty. I’m delighted, Heidi. We like to watch the candles and guess which one will go out first. 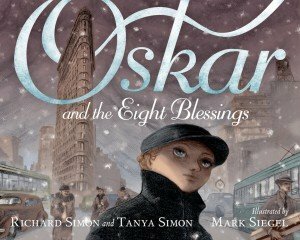 I love how Raphael Berkson showed the Hanukkiyah’s reflection in the window in Singer’s story. Good luck! I love spending time with my family over Hanukkah — eating latkes and lighting the menorah! We just had latkes last night and think I could have some every night, although donuts are a nice alternative. Happy Hanukkah, Molly and thanks for stopping by. 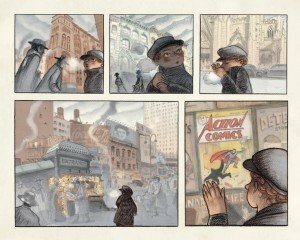 Love the unique layout of Oskar – really highlights the story structure so beautifully. 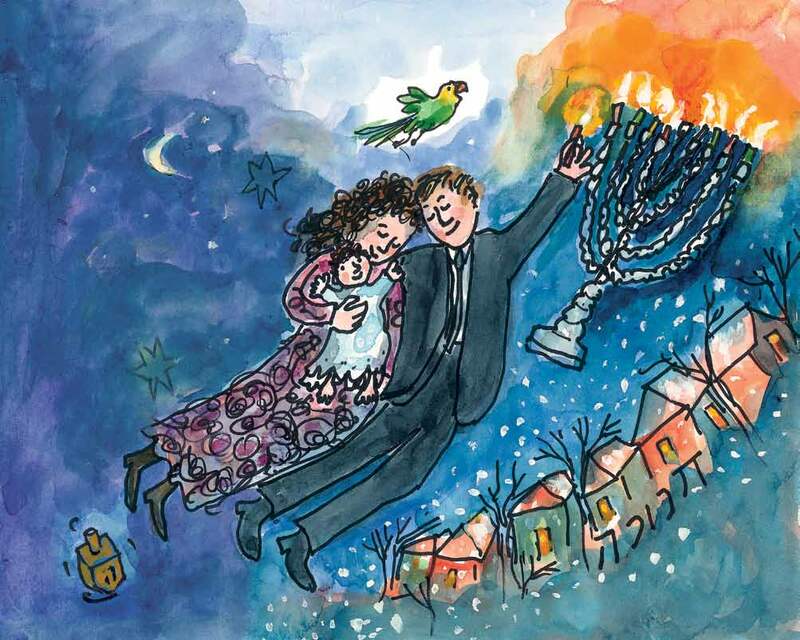 And the amazing Chagall-like spread from Dreidel – wow! Gorgeous. Thanks, Cathy. I think Raphael Berkson will be a talent to watch out for. 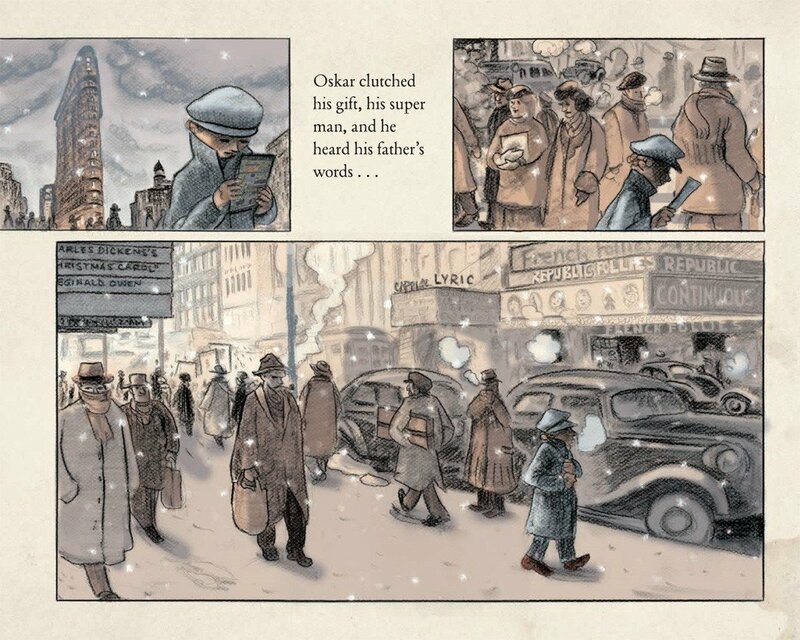 As for the artwork in Oskar, I agree, I can’t imagine the story conveyed any way else. 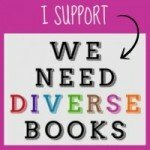 You’d love both books. 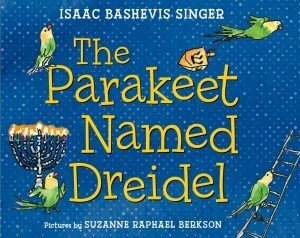 A Parakeet named Dreidel is my favorite Hanukkah story. 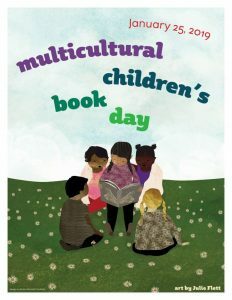 I am delighted to know there is now a picture book version. I do wonder what I.B. Singer would think of it, though. The story first appeared in his Stories for Children, and in his introduction to his unillustrated collection, he wrote that pictures were not needed for children’s stories. Wow, that’s so interesting, Michelle. Thanks for sharing. I never tire of hearing the story. I’m not Jewish, but I love Latkes! Call ’em Latkes, potato pancakes, whatever, they’re DELICIOUS!! Love when my grandchildren come to visit. Lucky you! Thanks for stopping by, Gloria. I like seeing my kids faces when I give them their gift. Yes, those faces are priceless, Scott! Appreciate you stopping by. The lights. 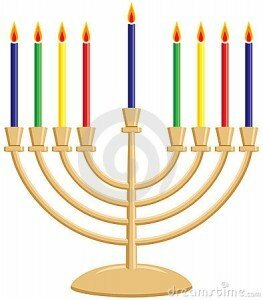 The magical story of the olive oil being sufficient to light the menorah for eight days. That’s lovely, Anjali. 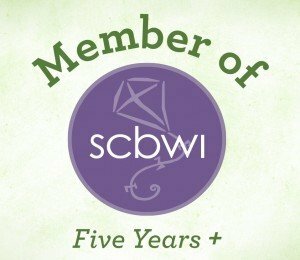 Thank you and good luck!